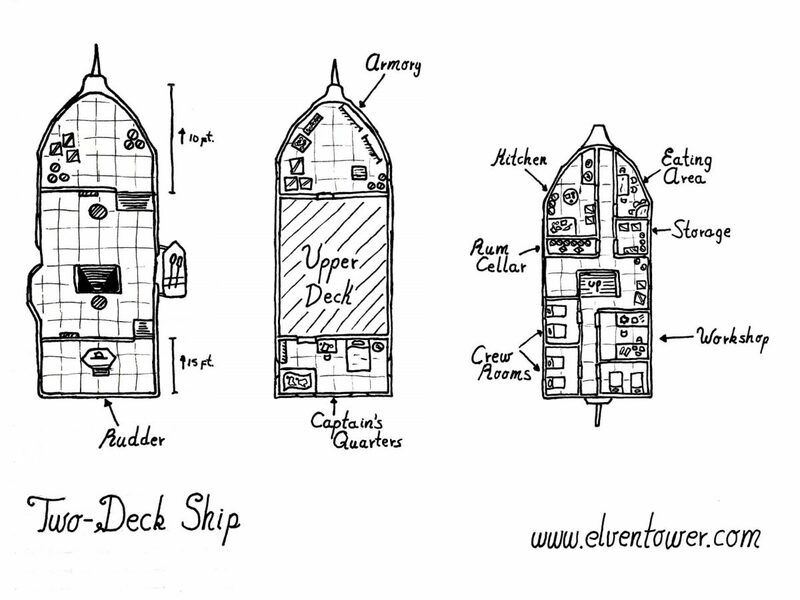 Considering a request I had for a map, I drew this two-decked ship floor plan. It’s great for a pirate scenario, maritime encounters or the like. The ship does not include fire weapons, as such, it is intended for a medieval era campaign. The crew rooms have double bunks. The ideal crew for a ship like this is 10 people plus the captain. In case of need it can be controlled with as few as 5 people and the captain.